This is a good question. Normally you can execute any batch file, or script you want just using the remote execute plugin. Network Administrator uses a 32 bit service to execute, and this in turn causes a call to defrag to fail when trying to execute it remotely…since there is no 32 bit version of it on 64 bit windows. We did find a trick to get around it. On Windows 7 and higher, there is a hidden environment variable named %sysnative% that will allow you to call the 64 bit version of any windows tool from a 32 bit exe. Using our new found knowledge, we built a plugin that allows you to run defrag remotely, and across many machines at a time. For Network Administrator to do its work, it needs file and printer sharing open. Microsoft has disabled this by default. We have a bunch of old Windows XP machines that desperately need to be defraged. Will this work on Windows XP machines? Yes, we have tested it under Windows XP, and it works without issues. Any chance this will work under Windows 2000? 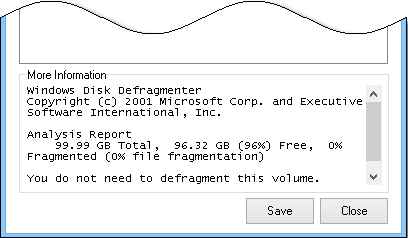 I have a call manager server from cisco, and it would be great if I could defrag it remotely. We have not tested it under Windows 2000, but I think it should work fine. 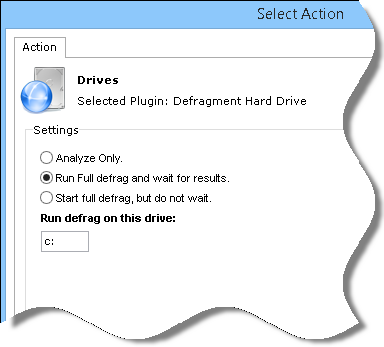 I believe defrag had the same command line options in 2000. Just want to say thanks for the plugin updates steve. This tool has been great.